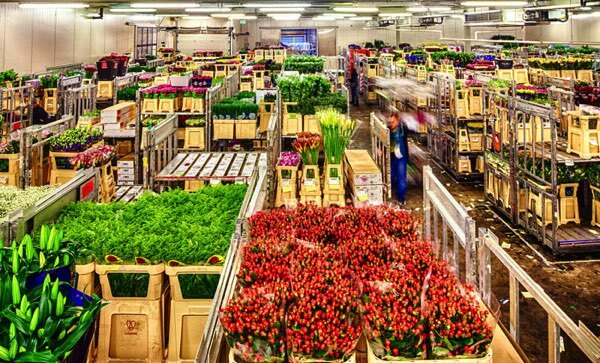 AirBridge Cargo (ABC), Russia’s first international scheduled cargo airline, has delivered 22 tonnes of fresh roses from Ecuador and Colombia to Moscow on board one of its Boeing 747 freighters. The transportation was accomplished through ABC’s interline agreement with Cargolux Airlines. 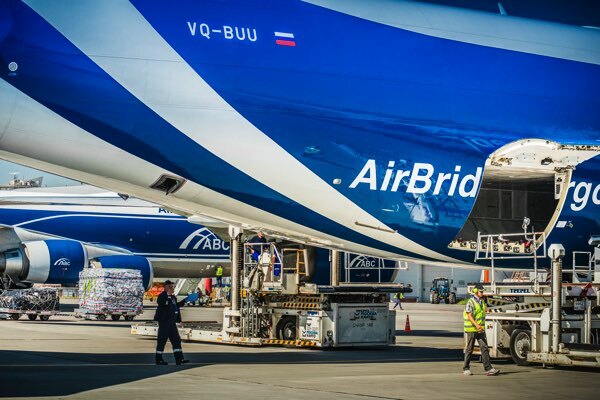 The first Russian scheduled all-cargo airline, AirBridge Cargo announced that they had started scheduled cargo flights four times a week from Frankfurt (Germany) to Shanghai (China) through Sheremetyevo airport (Moscow, Russia). 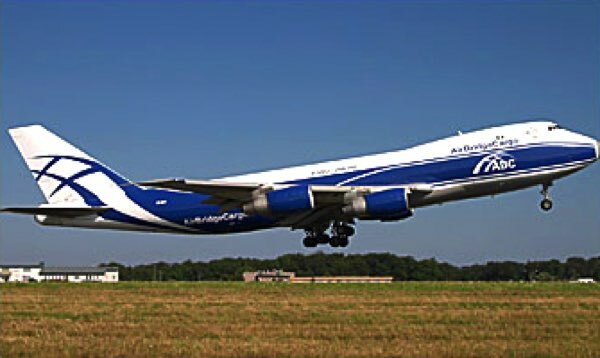 AirBridge Cargo also operates a service once a week to Beijing (China) via Novosibirsk (Russia). 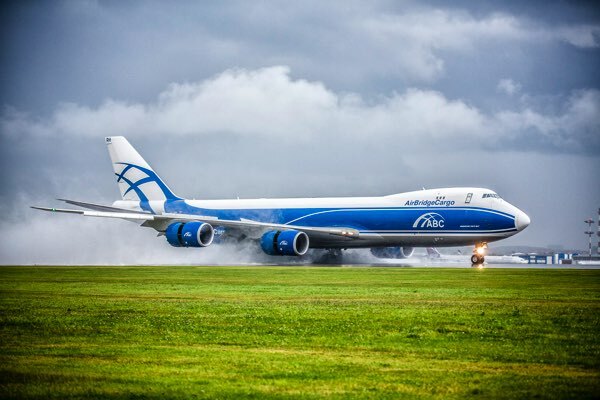 Volga Dnepr Group represented in the scheduled cargo market by its brand AirBridge Cargo announced the commencement of regular services via Krasnoyarsk international airport. 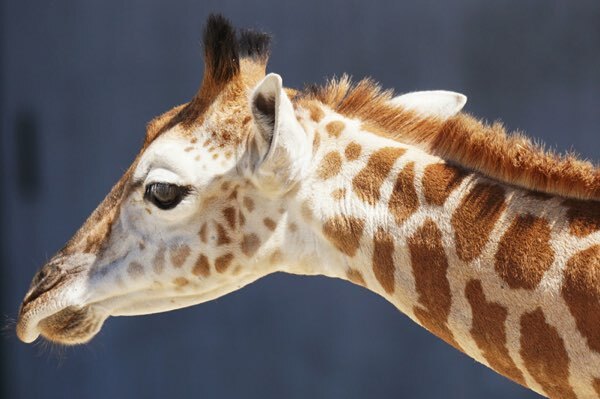 Volga-Dnepr Group’s scheduled airline AirBridge Cargo delivered a 14-month old giraffe to the Moscow Zoo from Luxemburg. 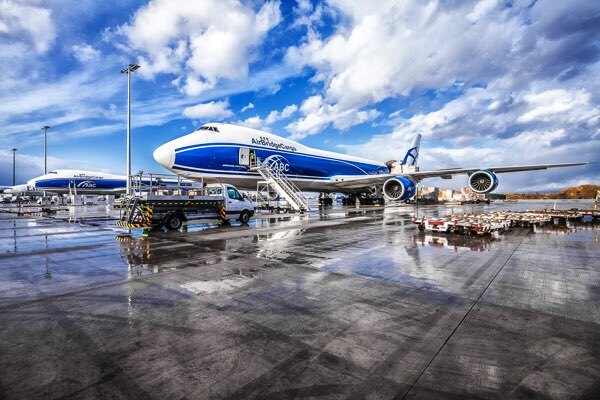 The world’s leading An-124 outsize and heavyweight cargo carrier Volga-Dnepr Group and its scheduled cargo airline AirBridge Cargo commence scheduled services today to and from Sheremetyevo International airport. 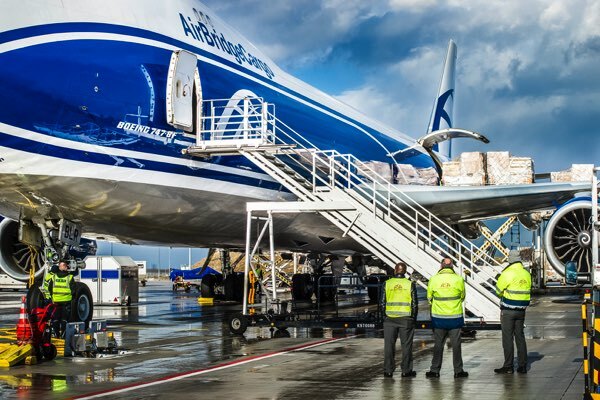 The world’s leading An-124 outsize and heavyweight cargo carrier, Volga - Dnepr Group, took delivery of its second Boeing -747-200 for its scheduled cargo airline, AirBridge Cargo. HSBC Bank has granted Volga-Dnepr Group a US$14 million loan, to be repaid over a five and a half year period. Volga-Dnepr Group is to play a key role in helping to create a new cargo hub at Krasnoyarsk Airport following the signing of a tripartite working agreement by Alexey Isaikin, President of Volga-Dnepr Group, Alexander Khloponin, Governor of Krasnoyarsk Territory and Boris Abramovitch, Director General of KrasAir airline. 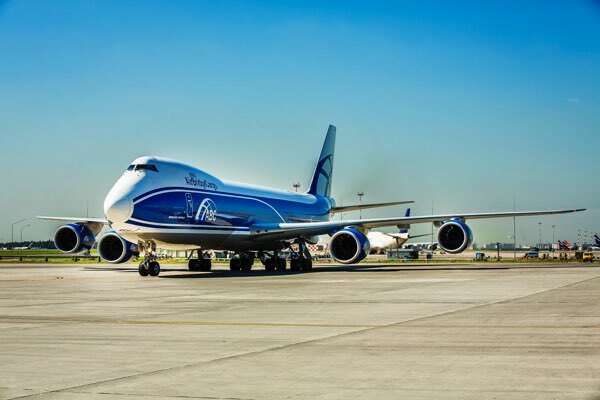 Volga-Dnepr Group have appointed Mr. S.P. 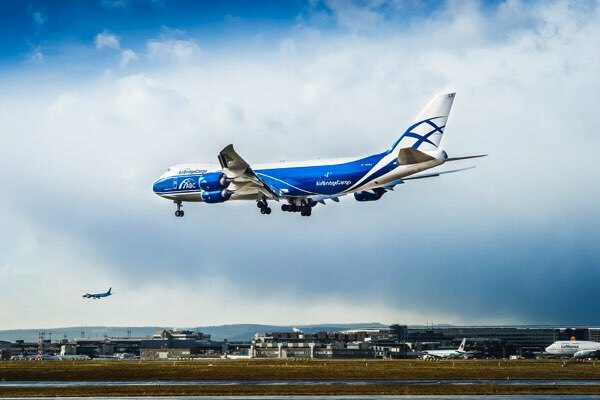 (Sander) Van Woesik as Sales & Marketing Director Europe, Middle East and Africa of AirBridge Cargo, Volga-Dnepr’s new scheduled cargo airline subsidiary, to support its long-term strategic development plan in the region. 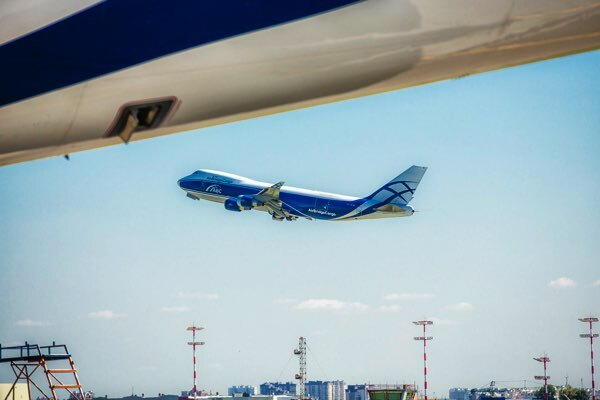 The creation of a cargo hub by Volga-Dnepr Group at ‘Emelianovo’ Airport in Krasnoyarsk has gained support during a meeting at the Kremlin between Russia’s President Putin and the heads of administration of Krasnoyarsk region, Taimir region and Evenkia region at the Kremlin. 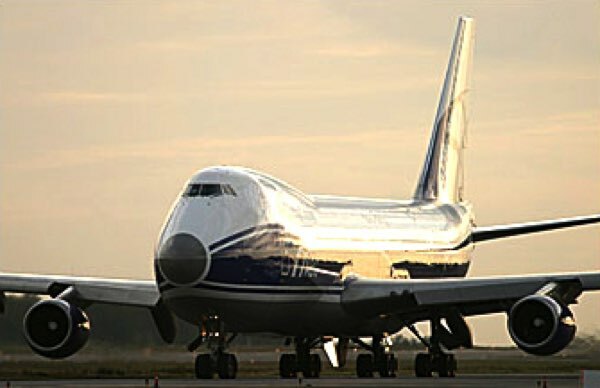 The decision to launch scheduled cargo operations was taken by the Volga-Dnepr management team in autumn 2002.